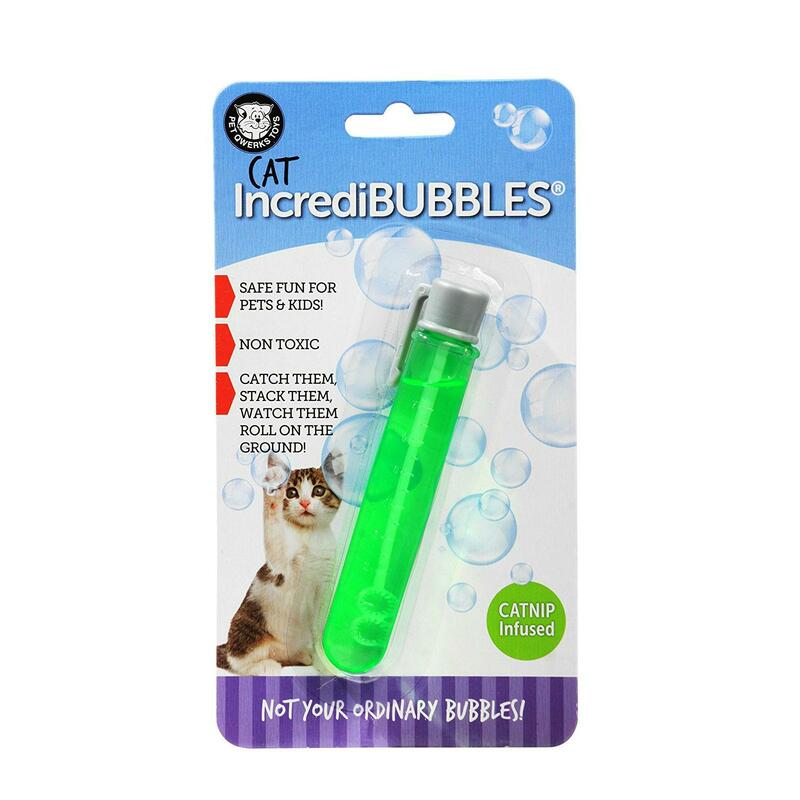 Your cat will literally flip for the Pet Qwerks Cat Incredibubbles Catnip Flavored Bubbles! 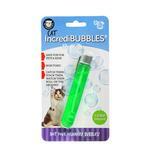 The Pet Qwerks Cat Incredibubbles Catnip Flavored Bubbles are not your ordinary bubbles! These cat bubbles dry in the air and then land on the ground intact, waiting to be attacked by your cat. The catnip flavor-infused bubbles are safe and non-toxic making them great for pets and kids too! For best results, use your hands to wave the bubbles in the air for a moment. The longer they float in the air, the more durable they become. The harness that I ordered, I had purchased one at my groomers and could never find them anymore , she is a very small shih tzu and I prefer nothing up around her neck at all , I've had them and they rub and irritate and are hot around the neck area especially in the summer . I would have loved a wide variety of colors though. Have been looking for pink [ she's a girl ] but the blue was pretty too !! I was just excited to find it ! !